Fresh Off The Boat at Erandwane has left us amazed with their food and decor. Run by sailors turned hoteliers, you know you want to visit this place. A Goan thali in Pune? Yes, this has been made possible because of the seafood offered by this new restaurant. 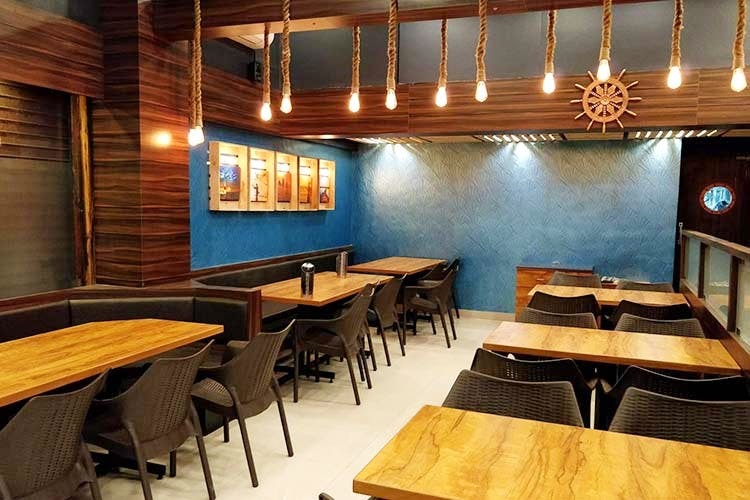 With elegant ambience, a good playlist and good food, Fresh Off The Boat at Erandwane has been making a mark among food enthusiasts. Fish tikka, prawn curry or homemade prawns pickle, this place is a blessing for anyone craving for seafood. Their specials include Koliwada fish fillet, which is something we didn’t find anywhere else in the city. Don’t worry, vegetarians! They’ve got some super delicious food for y’all too! From mocktails and kebabs to BBQ, they’ll treat you with the best taste. Their Pahadi paneer tikka made us swoon. Known to give the feeling of Goa in the truest sense,save your travel plans for some other day. Also, they are pretty decently priced at INR 900 for two. It is closed on Mondays and its timings for the rest of the days are from 11:30am to 3:30pm and 7:30pm till 11:30pm. What are you waiting for? Make your plans for this seafood joint now.